Ever since Scream, self-aware horror movies that play with the genre tropes have been a staple of horror movies in general. 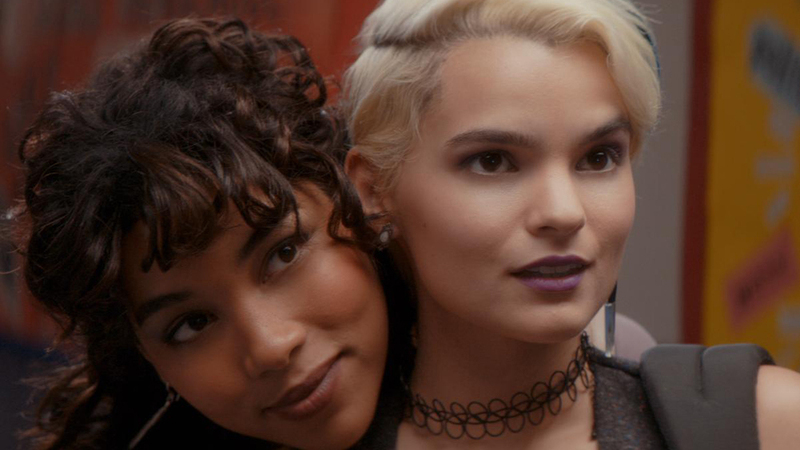 Tragedy Girls is one of those films and while the novelty of it may have worn off by now, it’s still a whole lot of fun to watch. And what we do get here that’s still rare even in that subgenre is that Sadie and McKayla are allowed to stay friends until the end. It’s rare to see female friends represented and rarer still to have their relationship not be defined by a sense of competition between the two. So that was wonderful to see. Hillebrand and Shipp play these two girls with relish and its at least as joyful to watch as their relationship is in general.There were also some nice familiar faces in the supporting cast, with a particular highlight being Josh Hutcherson whose short role in the film had me in tears from laughing so hard. The gore was extremely nice and played very successfully for laughs, also showing the aware genre-winking that marks the entirety of the film and that makes it so incredibly entertaining. 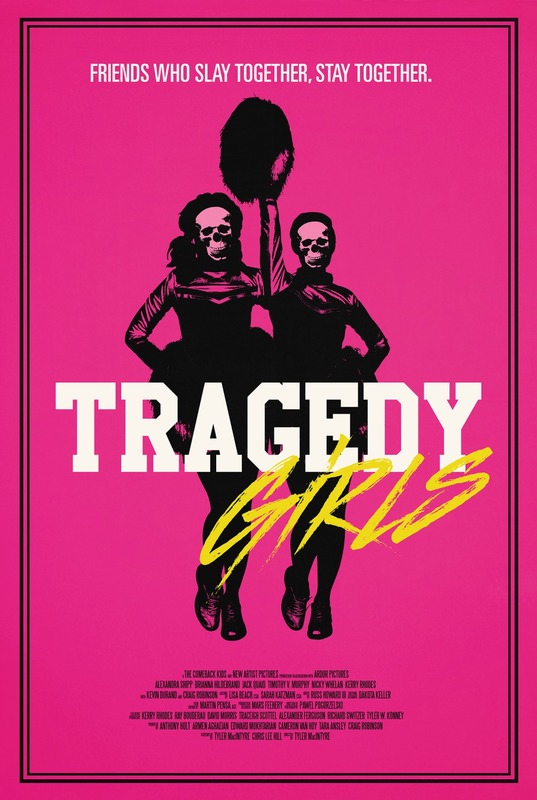 This entry was posted in movies and tagged 2017, Alexandra Shipp, Brianna Hildebrand, Chris Lee Hill, Craig Robinson, Jack Quaid, Josh Hutcherson, Justin Olson, Kevin Durand, Timothy V. Murphy, Tragedy Girls, Tyler MacIntyre, Viennale by kalafudra. Bookmark the permalink.